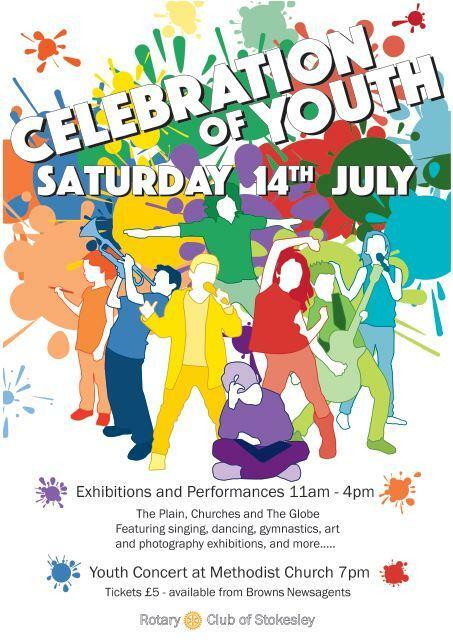 Events throughout the town on Sat 14 July. Music and erformances on The Plain and in the Churches, as well as Photography and Art Exhibitions and more in The Globe between 11am and 4pm. Check with us for precise timings . In the evening there will be a Celebration of Youth Concert in the Methodist Church at 7pm (tickets £5, from Browns Newsagents).